ECDPMPublicationsCivil Society Participation in EPA Implementation: How to make the EPA Joint CARIFORUM – EC Consultative Committee work Effectively? Civil Society Participation in EPA Implementation: How to make the EPA Joint CARIFORUM – EC Consultative Committee work Effectively? Montoute, A. 2011. Civil Society Participation in EPA Implementation: How to make the EPA Joint CARIFORUM - EC Consultative Committee Work Effectively? (ECDPM Discussion Paper 119). Maastricht: ECDPM. Civil society participation in decision-making processes is a key emerging norms to greater democratic accountability in developing countries. Trade policy negotiations, implementation and monitoring are a case in point. 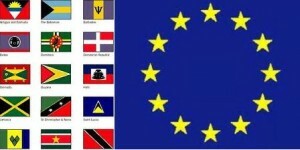 The European Union’s (EU) Economic Partnership Agreement (EPA) with CARIFORUM (Forum of the Caribbean Group of African, Caribbean and Pacific States) is a pioneering agreement that institutionalises civil society engagement through the innovative Joint CARIFORUM – EC (European Commission) Consultative Committee. This paper raises key questions and issues pertinent to the effective functioning of the Consultative Committee and provides preliminary recommendations for its effective functioning. In particular, the paper stresses that the Consultative Committee will work effectively only if the participants have the capacity and expertise to make substantive input to the EPA implementation process. While there are regional NGO, labour and private sector bodies at the regional level, they operate independently with limited collaboration and they operate outside of the official CARICOM or CARIFORUM governance structure. The European Economic and Social Committee (EESC) may be used as a model for CARICOM and CARIFORUM for establishing a civil society platform within official government structures where selection for such processes can be facilitated. The EDF funded CARICOM Civil Society Project is aimed at facilitating regional civil society’s participation in the Caribbean Integration Process. One of the reasons for this project is to fulfil the region’s obligations under the 2005 Revised Cotonou Agreement and the EPA, which both make provisions for civil society involvement in the Caribbean Caribbean’s development partnerships with the EU. There is the recognition on the EU side that attaining genuine representativeness may be challenging and therefore the focus has been on having the participation of groups with the necessary expertise and capacity. To preserve the integrity of the development provisions of the EPA Agreement, groups that represent large segments of the vulnerable and disadvantaged sectors of the population must necessarily be engaged by building their capacity to meaningfully contribute substantively in the process.